Many homeowners underestimate the importance of a well insulated home. 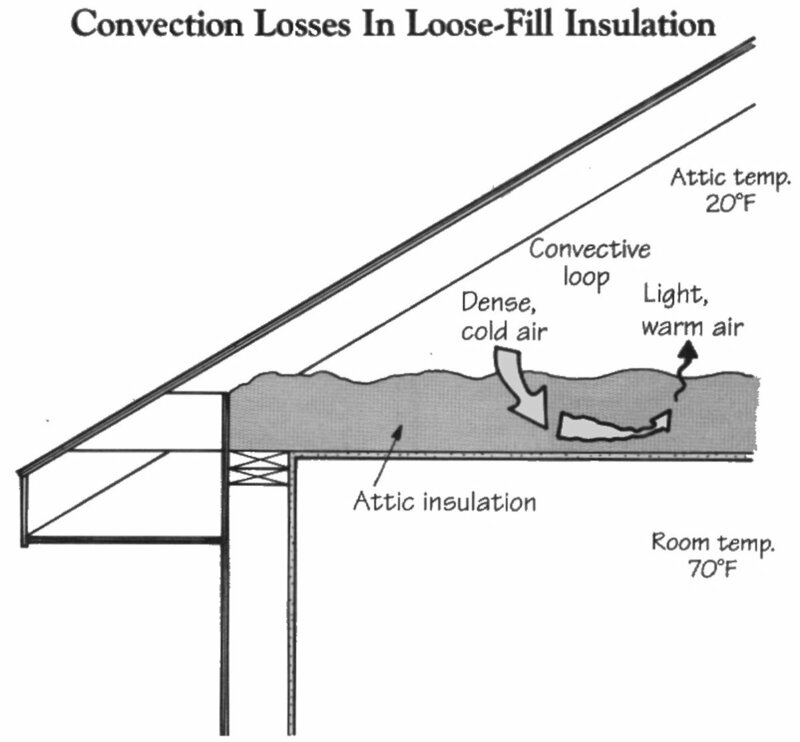 Choosing the right insulation will prevent many problems down the road. Spray foam insulation is a cost-effective and smart choice for your home. While other insulation systems appear cheaper at a glance, they don’t compare to spray foam insulation when you understand how R-Values and air barriers can impact your monthly costs. SPF insulation can help homeowners to save significantly on energy costs. That means more money in your pocket, and less for the power company. And because SPF insulation creates a barrier against pollen, pollutants, and dust, and reduces noise penetration, spray foam insulation also makes your new home more comfortable, healthier, and quieter – all important factors for the health and well-being of your family. 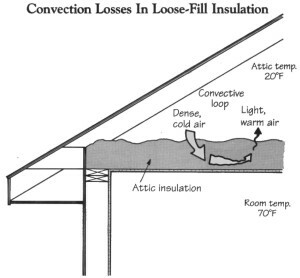 The following diagram shows airflow through an attic with a loose-fill insulation. As you can see the cold air falls until it hits the warm air coming up through the ceiling. The warm air will rise until it cools from the colder attic temperature, which will then sink creating a convection loop. The video explains the transfer of air temperature through a wall cavity.